Welcome to Stories for God’s Glory! Do you have a child who likes to make up stories but doesn’t know how to write them? Or maybe your child likes to write and would like to improve their skill. 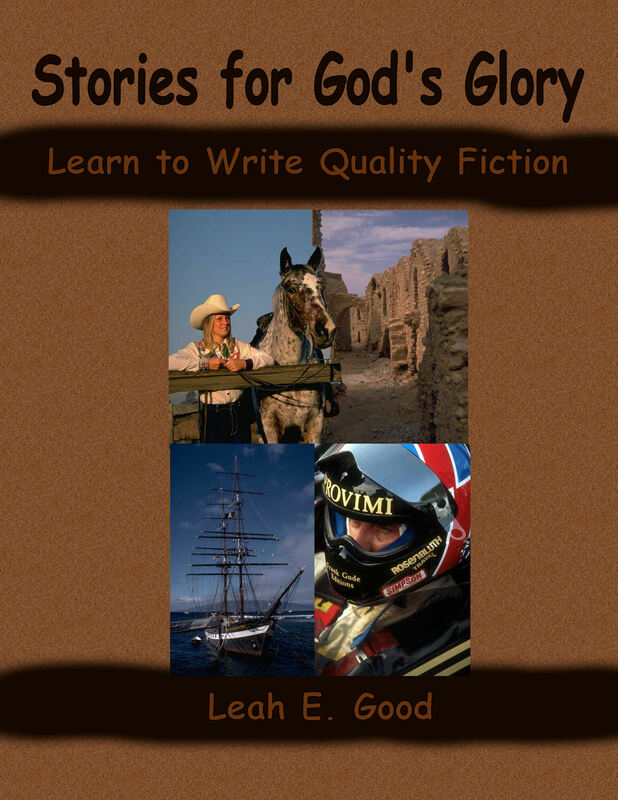 Whatever your scenario, Stories for God’s Glory is designed to teach junior high students how to write quality fictional stories that honor God. The course is designed to be completed in one semester—about eighteen weeks. There are sixteen weeks of formal lessons as well as a bonus chapter that introduces students to a few fiction genres. If you’re nervous about teaching creative writing and story writing, don’t be. This course does not require that the teacher have prior knowledge of the subject. Each formal lesson begins with an assignment sheet containing boxes that can be checked off as students work through the lesson. Following the assignment sheet is the text for that week. The text is the teaching portion of the curriculum. It tells students about an area of writing and gives them tips for how to implement techniques that will improve their own writing. Worksheets are located at the end of the lesson. Practice What You Learned sheets give students a chance to implement what they read about in the week’s text. Analyze a Story worksheets instruct students to read a story and answer questions designed to show them how other authors use the techniques they are learning about. Finally, Outlining Worksheets help students to organize their ideas as they plan their own stories. Have questions? Use the Contact page to ask them. I’d love to hear from you!